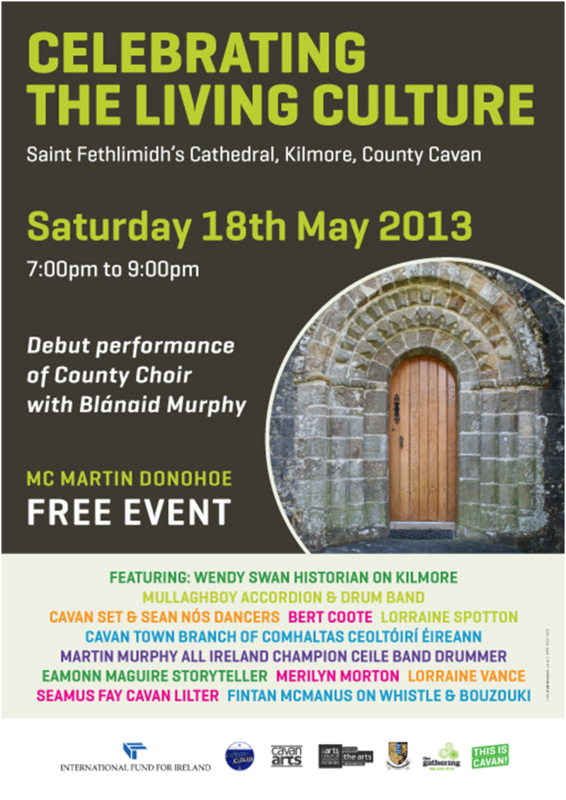 Saint Fethlimid's Cathedral, Kilmore on Saturday 18th May was the scene of an extremely entertaining and enjoyable mix of music, song, dance, story and culture. 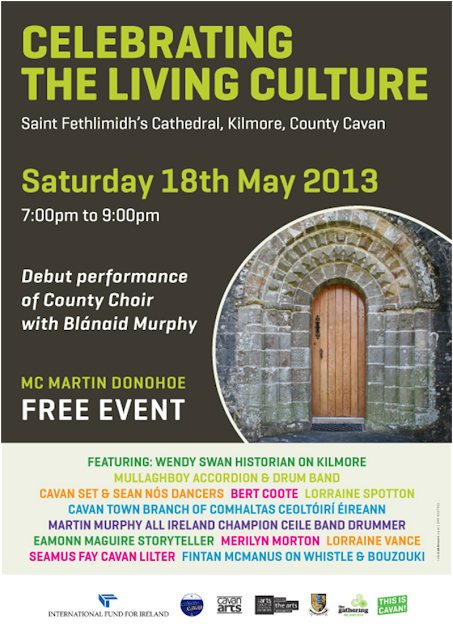 People attended from all communities both locally and from a distance to 'Celebrate the Living Culture'. The atmosphere in the Cathedral on that evening was definitely joyous. Martin Donohoe who was Master of Ceremony kept the whole performance moving along﻿ starting with a historical talk from local historian Wendy Swan to the lilting airs of Seamus Fay and then the combined playing of Mullaghboy Accordion Band and Cavan Town Comhaltas intermingled with traditional irish dancing and sean nos dancing. We were also entertained by storytelling, solo singers and recitation recitals. The evening culminated with the debut performance of the County Choir who under the direction of Blanaid Murphy and accompanied by Siobhan Kilkelly amazed the crowd with their varied repertoire from Handel to contemporary John Byrne. The Choir finished with a rousing rendition of the Battle Hymn of the Republic and they certainly hit the high notes and were treated to a standing ovation by the time they were finished.